Make wire wrapping perfect with our beading pliers & crimping tools. Each beading plier & crimping toolforms impressive loops in different sizes. 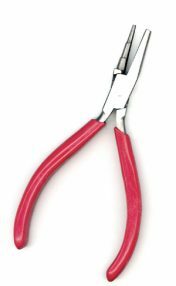 Be it cutting hardwire or soft lines like silk and nylon cord, these pliers make wire attachments quick and easy.